Fall is a wonderful time to take a dude ranch vacation. Temperatures are cooler, making the weather perfect for horseback riding, hiking and other active sports. Non-holiday periods during the fall months can also be an excellent time to find good deals on airfares and rental cars as well. 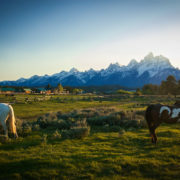 Couples and solo travelers often enjoy taking their ranch vacations during the fall. 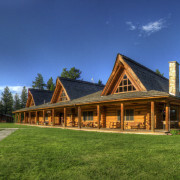 Families generally take their guest ranch vacations during the summer and school holiday periods. Other than these time periods, guests at dude ranches are typically couples, solo travelers, and adults-only groups. This atmosphere can be a bit more conducive to relaxing and dinners filled with lively conversations. 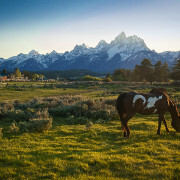 Spring is a great time to take a dude ranch vacation. 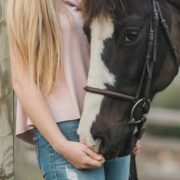 The weather is gorgeous and temperatures are perfect for horseback riding, hiking and other active sports. Non-holiday periods during the spring can also be an excellent time to find good deals on airfares and rental cars as well. 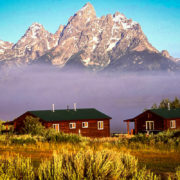 Families generally take their spring guest ranch vacations during school holiday periods in March and April. Some schools finish up in late May, allowing parents and kids to head out on vacation during the first two weeks of June. Other than these time periods, guests at dude ranches are typically couples, solo travelers, and adults-only groups.